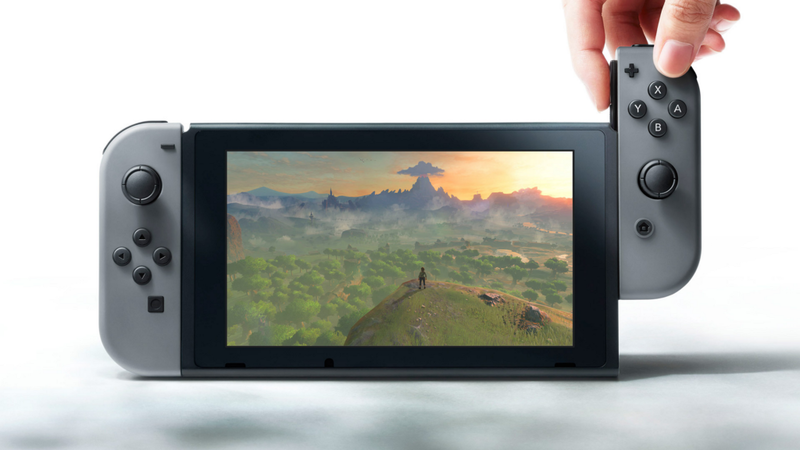 The Nintendo Switch looks to merge indoor & mobile gaming with an unprecedented 4-in-1 console. When Nintendo released the original Game Boy back in 1989, it forever changed the way we played games. No longer were gamers quarantined to their living rooms and the neighborhood arcade. For the first time, a long car ride to Grandma’s didn’t mean six hours of backseat solitaire and the license plate game. With the Game Boy (and a hefty stash of AAs) you could go anywhere and bring your favorite titles with you. Over 25 years since they effectively created the mobile gaming market out of thin air, Nintendo is ripe to shake up the industry again—this time, with something called the Nintendo Switch. 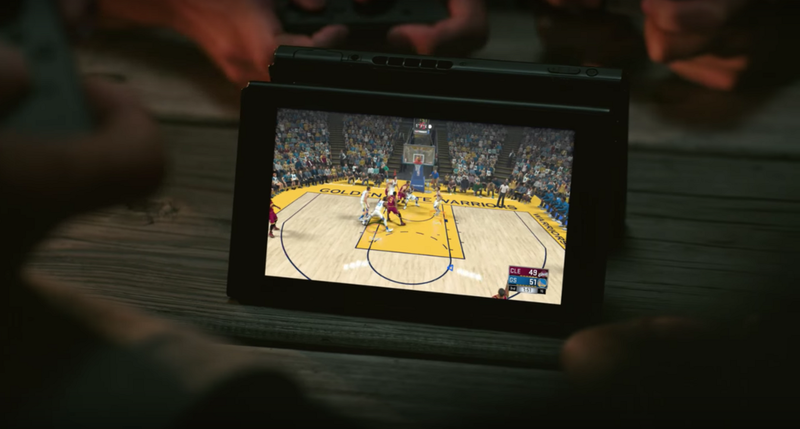 As you can see, the Switch is a fully-functional home and mobile console dead set on bridging the gap between gaming at home and gaming on the go. In some ways, the console looks pretty dope. Bring your home console anywhere. While I do have fond memories of rigging my computer to run an N64 emulator so I could play Majora’s Mask with an Xbox controller on the train, the Switch seems a much easier solution for taking your home gaming into the wider world. Going from stationary to mobile is just a matter of unhooking the console’s screen/controller from its dock. The controller offers four different configurations. The teaser shows off at least four controller configurations, no doubt to suit the versatility of the console itself. Two controller halves can be connected on a grip mount for standard home play, and also plugged into to the sides of the console itself for a configuration reminiscent of the Wii U’s gamepad. But there are lingering questions. The console looks fantastic, no doubt, but there are still a few questions in need of answering before we can completely sign off on Nintendo Switch. A poor battery life would be the system’s Achille’s heel. A console like this that needs the processing power to run Skyrim and on a mobile LED screen will require enough battery life to make mobile gaming feasible. We saw plenty of games we already know about being played on the Switch, with Splatoon, The Legend of Zelda: Breath of the Wild and Skyrim making appearances. There was a glimpse of what appeared to be a new 3D Mario platformer, but there were no concrete reveals of any potential launch titles or Switch exclusives. The Nintendo Switch will be out March 2017, just in time for you to bring your gaming out into the sweet spring air.